Though we’ll soon have a TV spin-off that fleshes out the extravagant world of assassins, John Wick isn’t retiring from the big screen yet. A third entry in the series that stars Keanu Reeves as an agent of reticent revenge is already scheduled for release on May 17, 2019, and according to That Hashtag Show, production will kick off on March 1. Everything’s pretty much in place at this point, with Reeves, Common, Laurence Fishburne, and Ruby Rose all reprising their roles, and Chad Stahelski set to direct a third time (he split duties with David Leitch on the first film). 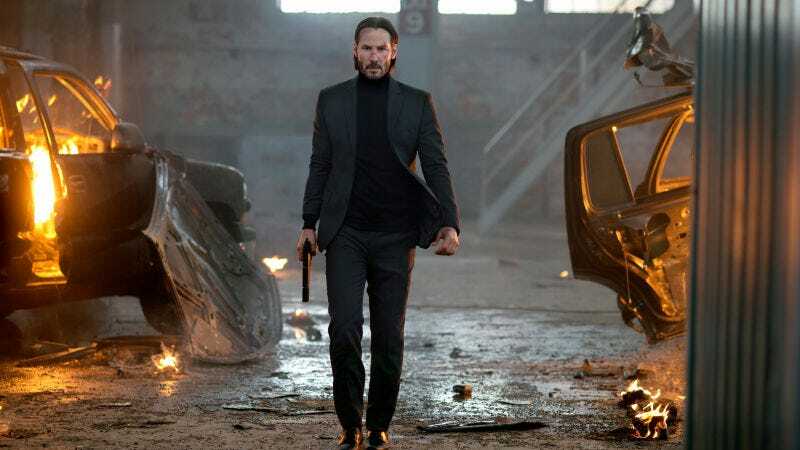 John Wick 3 will have a few new faces, though, including The Wolverine’s Hiroyuki Sanada as the main villain. No further details on that role are available, but it’ll make for another reunion for Reeves; John Wick 2 saw Reeves on screen with Laurence Fishburne again, while John Wick 3 will reunite the actor with his 47 Ronin co-star Sanada.